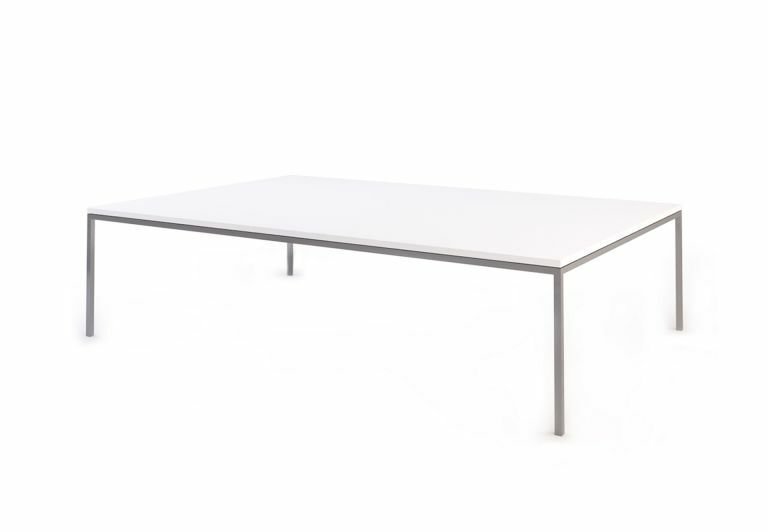 An elegant family of occasional tables, Bomba serves to independently complement a range of seating scenarios. 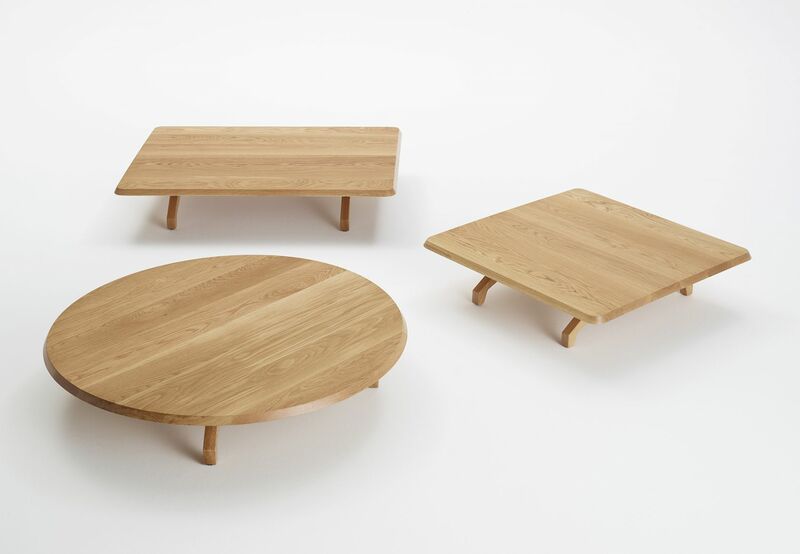 Designed by Ivan Woods, the round, square or rectangular low floating tops sit upon distinctive tapered legs in timber or aluminium to create soft, contemporary profiles. 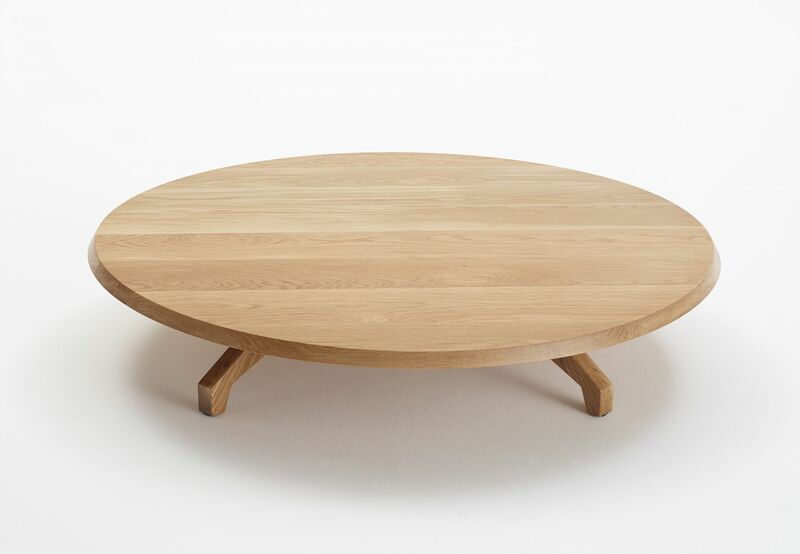 Bomba Table is handmade in our Melbourne factory and hand finished from solid timber. 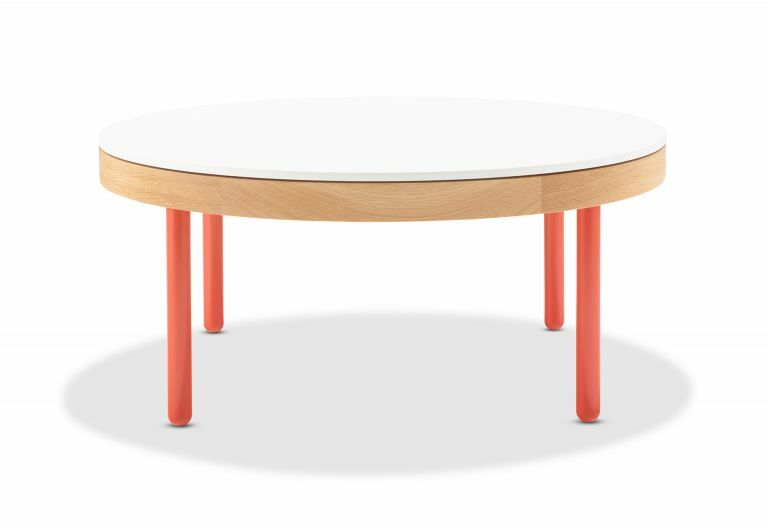 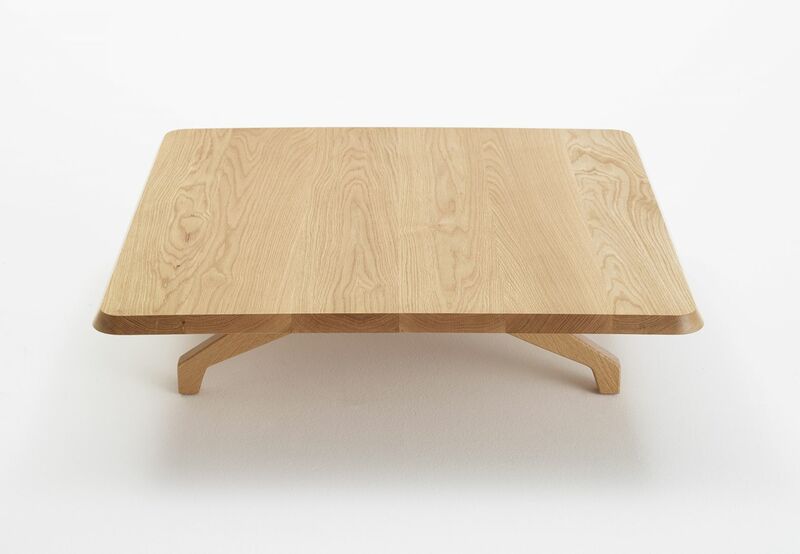 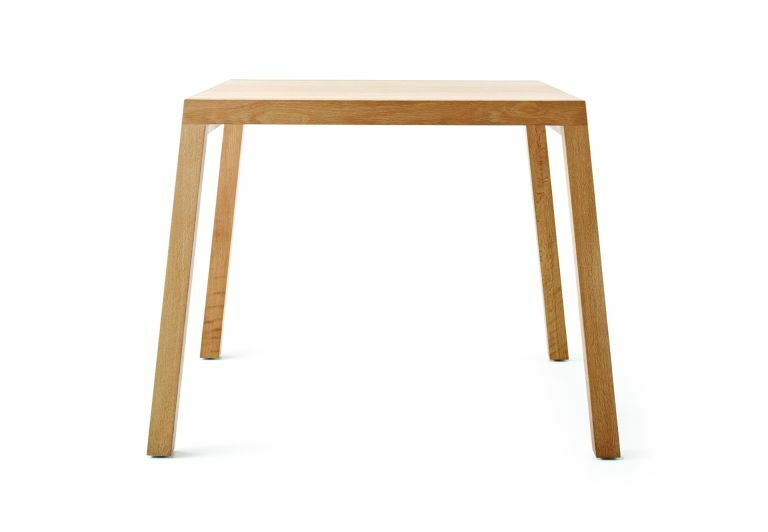 The table is available in either round, square or rectangle, with a variety of finishes such as paint, veneer or stains in Oak for the tops, and timber, or polished or powder coated aluminium for the legs. 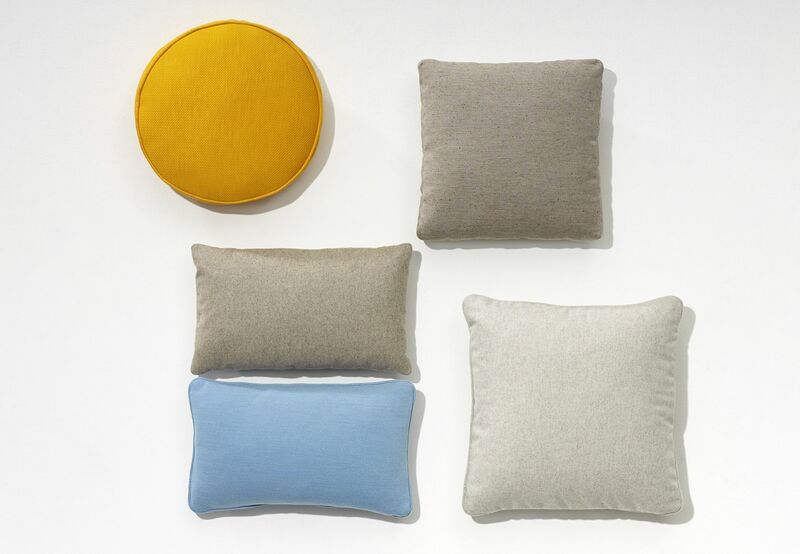 Complementary accessories to the Bomba Table include Bomba Sofa and Scatter Platter cushions. 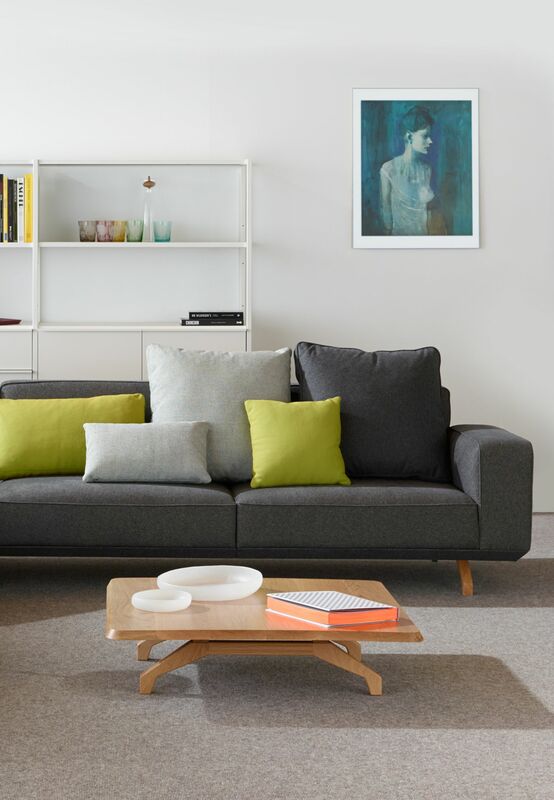 Bomba is a dynamic, timeless sofa and table collection designed by Melbournian Ivan Woods. 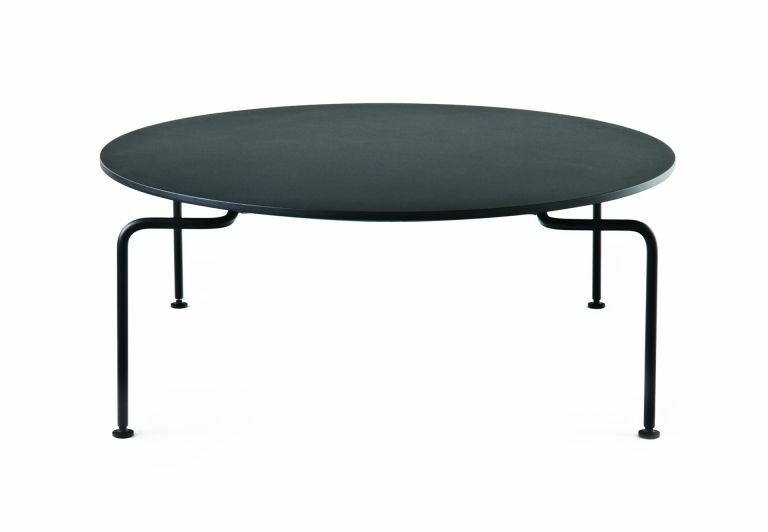 Named after the Latin American musical style where the dancer’s movements dictate the beat of the drums, Bomba Table is similarly led by the user’s requirements. 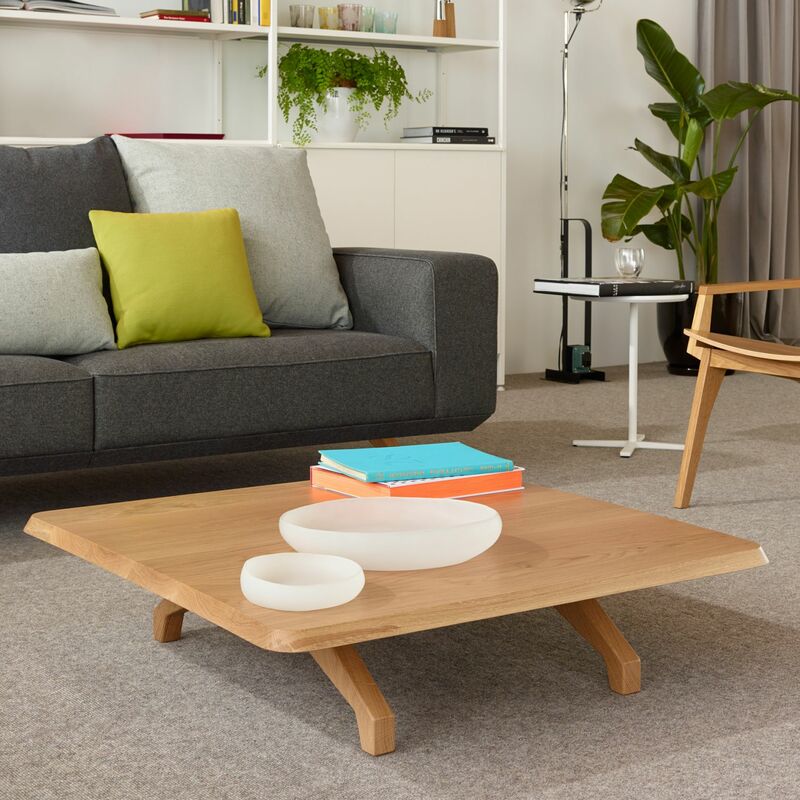 Adapting to any environment, Bomba is versatile and customisable, making it an ideal solution for small, medium and large spaces. 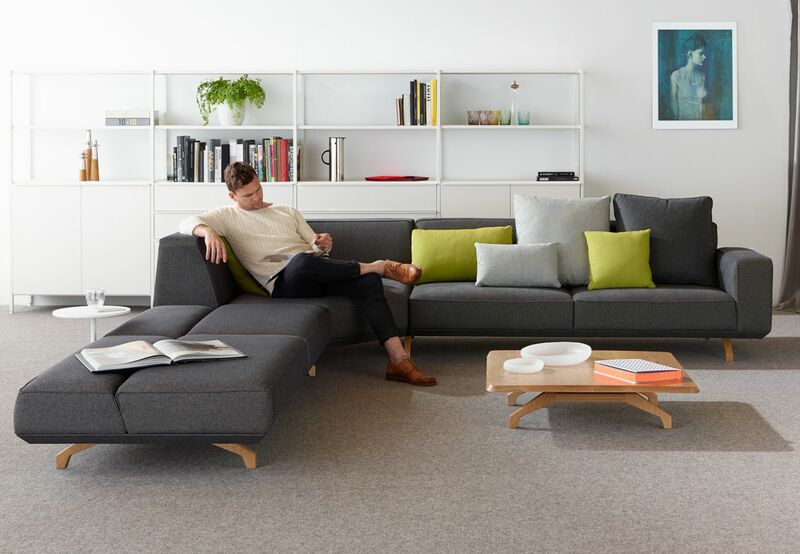 Designed primarily for spaces such as lobbies and break out areas, Bomba can cater to a group of people in a collaborative space or individuals in a retreat space. 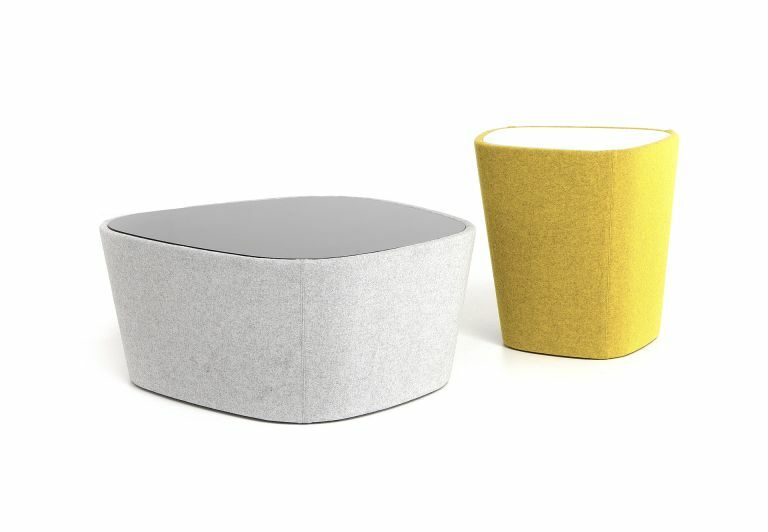 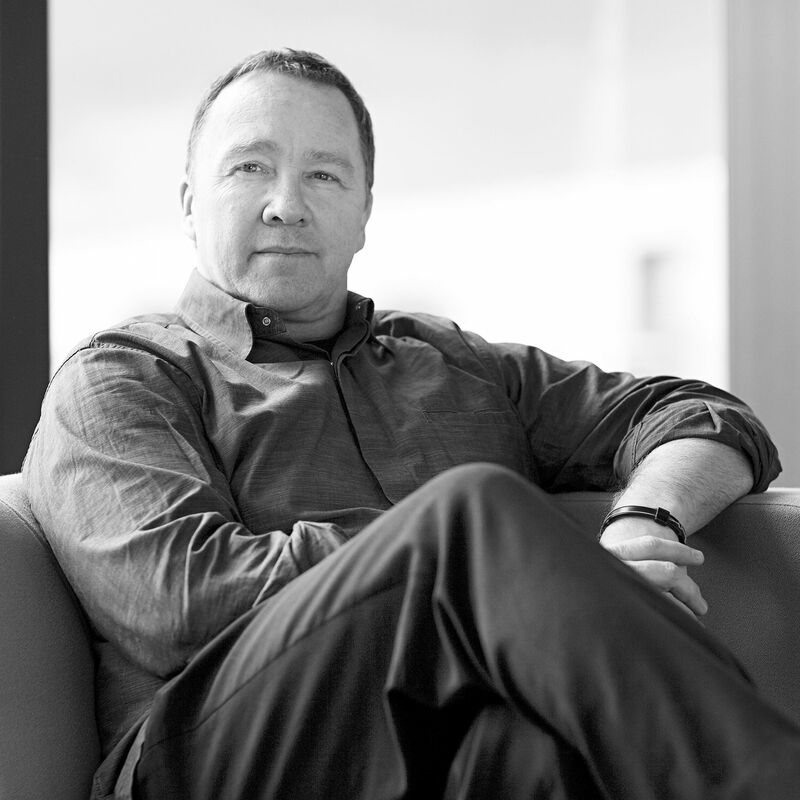 During his time at Schiavello, Woods came up with the idea for Bomba in response to the need to provide an informal, soft seating option that was inherently modular in nature, but with a contemporary lounge aesthetic. 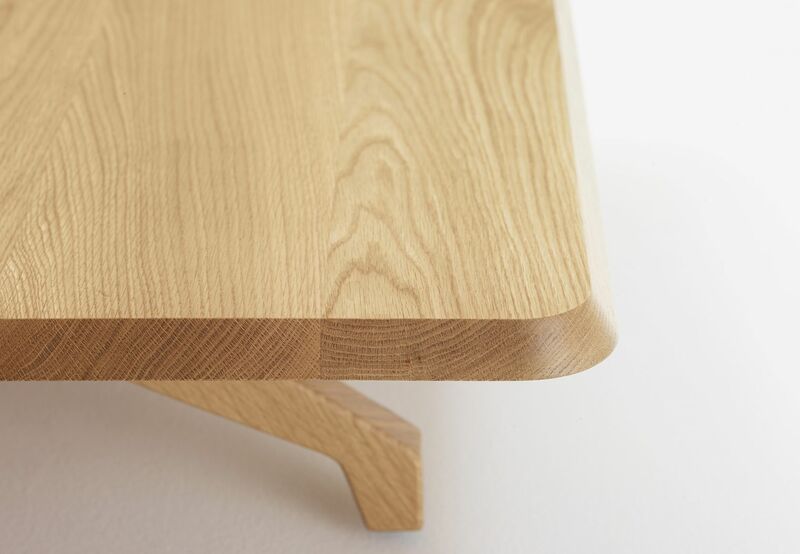 Creating a refined and strong product with Bomba’s unusual amount of joins was intricate and difficult work. 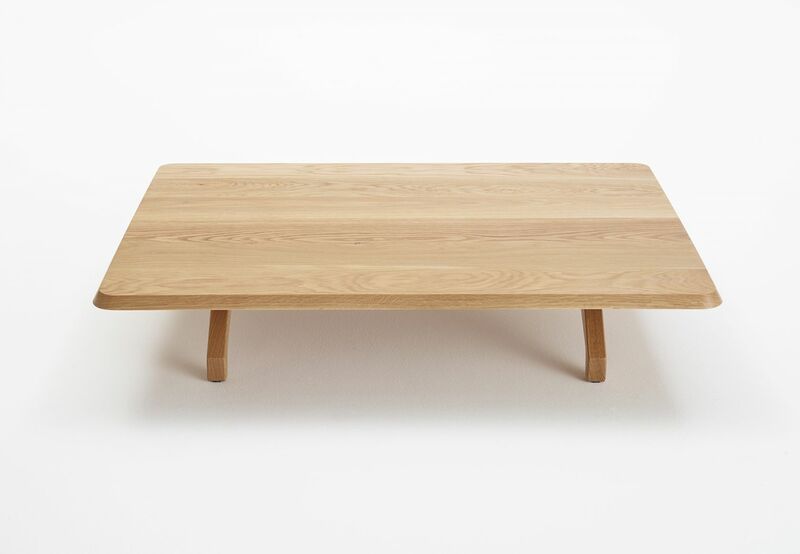 With its timber arms and legs featuring more angles than the average sofa, Bomba’s initial design challenges lay in finding a solution to creating the timberwork at a quality that was desired whilst maintaining the angular design. 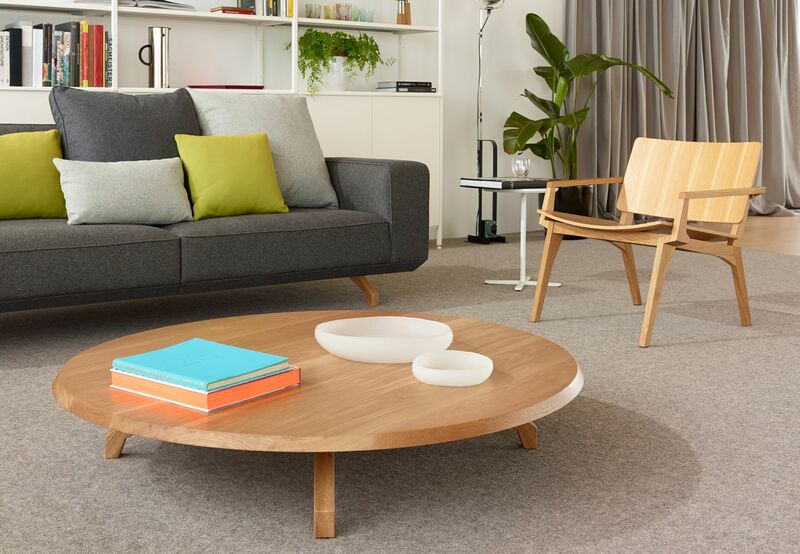 The well-resolved result led to a thoughtful, flexible sofa and table collection.